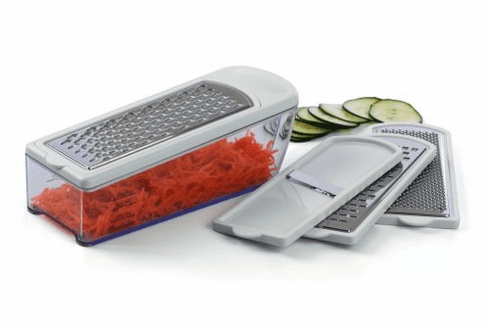 The Progressive grater set includes 4 inserts, frame and 3 cup measuring container. Grater inserts shred, slice, grate and zest. The inserts fit into the measuring container for compact storage. Non skid feet keep the container from moving while grating. Dishwasher safe.